Sun Country Woodworks is owned and operated by brothers, Rick and Scott Stokes, who have been in the woodworking and cabinet business since 1984. The cabinet options from our custom shop are just about limitless. A client can choose the wood specie, the door style and the stain color of their desire. Customers that need to expedite their jobs and save money at the same time can benefit from modular cabinetry. Modular cabinets are available in a vast array of colors and designs. We can also provide countertops of granite, quartz or laminate. Our company has had the same experienced installers and service people for many years. Therefore, you are guaranteed professional installation and warranty work. We would like the opportunity of providing you with a quote for your next project. Please fax or e-mail your layout to us with cabinet and countertop choices and we will get a quote to you as soon as possible. We also welcome your visit to our showroom where we can comfortably sit and discuss your plans. We look forward to working with you on your custom or modular cabinets and strive to provide top quality products for your home. View our garage cabinet systems to help you organize your garage. Also available is closet organizer systems to get the maximum use of your closet space. 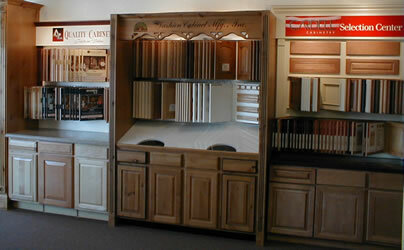 We build completely custom cabinets or offer a more affordable modular cabinet option. Come by our office in Cottonwood Arizona to see some examples and get a quote. Mail & Showroom Address: 530 South 7th St. Directions: From I-17 take the Cottonwood Exit. At Main Street (Hwy 260 & 89A) turn left. Proceed to the next stop light and turn left. Then turn right on 7th street. Our sign is at the street.